Today yours truly knocked around Greenpoint, Williamsburg and Long Island City. 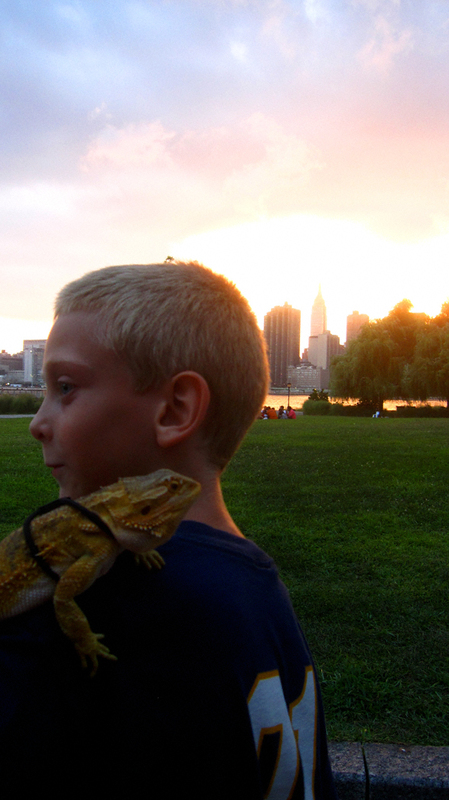 It was at Gantry State Park where I encountered this, the first lizard to be featured as an urban fur. His name is Draco (which his winsome keeper made emphatically clear means “dragon”) and all the Greenpointers reading this will be pleased as punch to know he calls our very own Kent Street home!